Researchers at the University of Bath have gained new insights into the mechanisms of the Northern Lights, providing an opportunity to develop better satellite technology that can negate outages caused by this natural phenomenon. Previous research has shown that the natural lights of the Northern Lights - also known as or Aurora Borealis - interfere with Global Navigation Satellite Systems (GNSS) signals which are heavily relied upon in the transport and civil aviation industries. The presence of plasma turbulence within the Northern Lights was traditionally deemed responsible for causing GNSS inaccuracies. However, this latest research found that turbulence does not exist, suggesting new, unknown mechanisms are actually responsible for outages on GNSS signals. This is the first time it has been shown that turbulence does not take place within the Northern Lights and this new knowledge will enable new technological solutions to overcome these outages. The research team from the University of Bath’s Department of Electronic & Electrical Engineering in collaboration with the European Incoherent Scatter Scientific Association (EISCAT) observed the Northern Lights in Tromsø, northern Norway, where they observed and analysed the Northern Lights simultaneously using radar and a co-located GNSS receiver. 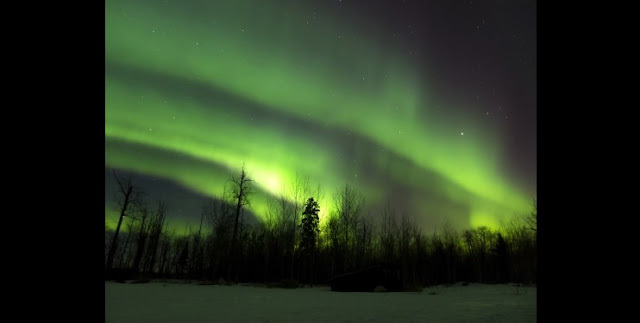 GNSS signals were used to identify how the Northern Lights interfere with GPS signals. Radar analysis provided a visual snap shot of the make-up of this famous and spectacular phenomenon. GNSS is used to pinpoint the geographic location of a user's receiver anywhere in the world. Numerous systems are in use across the world including the widely known United States' Global Positioning System (GPS), the Russian Federation's Global Orbiting Navigation Satellite System (GLONASS) and Europe's Galileo. Each of the GNSS systems employs a constellation of satellites orbiting the Earth at an altitude of 20,000 km satellites, working in conjunction with a network of ground stations. Originally developed by the US government for military navigation, satellite navigation systems are now widely used by anyone with a GNSS device, such as an in-car SatNav, mobile phone or handheld navigation unit, which can receive the radio signals that the satellites broadcast. The Northern Lights occur at North and South magnetic Poles, and are the result of collisions between gaseous particles in the Earth's atmosphere with charged particles released from the sun's atmosphere. The researchers believe this heightened understanding of the Northern Lights will inform the creation of new types of GNSS technology which are robust against the disturbances of the Northern Lights, and help influence GNSS regulations used in industries such as civil aviation, land management, drone technology, mobile communications, transport and autonomous vehicles. Lead researcher and Lecturer in the Department of Electronic & Electrical Engineering at the University of Bath, Dr Biagio Forte, said: “With increasing dependency upon GNSS with the planned introduction of 5G networks and autonomous vehicles which rely heavily on GNSS, the need for accurate and reliable satellite navigation systems everywhere in the world has never been more critical. “The potential impact of inaccurate GNSS signals could be severe. Whilst outages in mobile phones may not be life threatening, unreliability in satellite navigation systems in autonomous vehicles or drones delivering payloads could result in serious harm to both humans and the environment.